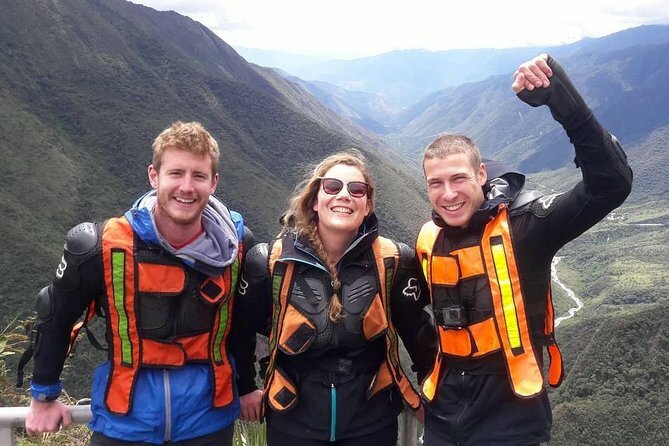 The Inca Jungle Trek is an unbelievable 3 day alternative tour where you can envolve your experience in adventure and sports such as Biking, in the impresive Abra Malaga Mountain with an gorgeus view during the down hill, and as an optional you can add and enjoy Rafting(optional activity) in the Urubamba River in Santa Maria area. and Zip line(optional activity) in Santa Teresa. It also includes some recently discovered Inca paths with archaeological remains, the deep green valley and the vibrant jungle basin of Santa Maria. The Inca Jungle Trek uses A-1 equipment and profetionals instructors in each activities and the groups are small creating an intimate experience with the natural terrain of Peru. After breakfast, we will travel through picturesque villages and beautiful landscapes until we reach Abra Málaga mountain (4350 masl). We will descend on mountain bikes of higher scale for 3 hours touring rural villages, rivers, orchards and streams that arrive in Huamanmarca, where if we want, we can buy water and snacks. We will arrive at the town of Santa María (1 200 masl)(3,937.01 ft), where we will have our lunch and stay for our first night in a hotel. In the afternoon we have the option of rafting on the Vilcanota River (US $ 35 ). This river offers category III and III + rapids. For this activity we will give you helmets, windbreaks and category V life jackets. This activity is available between the months of April to December, and you must be able to swim to participate in accordance with Peruvian law. We get ready around 4:00 am to climb to Machu Picchu, the trek will follow an ascending path crossing the high jungle, just in time to see the spectacular sunrise. After passing the control entrance around 6:00am our group will have a guided tour for like about 2 hours in the Inca citadel, later after that the passengers will be continue for him self and keep follow the line and also can take some pictures during the free time untill the exit, after visiting Machu Picchu citadel, our passenger will be return to Aguas Calientes, it will descend walking to Aguas Calientes for about 40 minutes, and then walk back to Hydroelectric to catch our private transportation at 3pm, and transfer you to cusco city the transportation will arrive to cusco around 10pm, the last bus stop would be in San Francisco Plaza. Briefing the night before your tour in your hostel/hotel. Transportation from Cusco – Abra Málaga. Bikes with full suspension, safety helmets and gloves. Vegetarian meal options without additional costs. A private, professional English/Spanish speaking guide. Transportation from Hydroelectric - Cusco. 1 Night in a local house with basic service (shared room). The bus to/from Aguas Calientes to Machu Picchu ($24). Rafting & zip lining (30$ per activity). Train from Aguas Calientes - Ollantaytambo ($80). Huayna Picchu or Mountain Machu Picchu ($30).